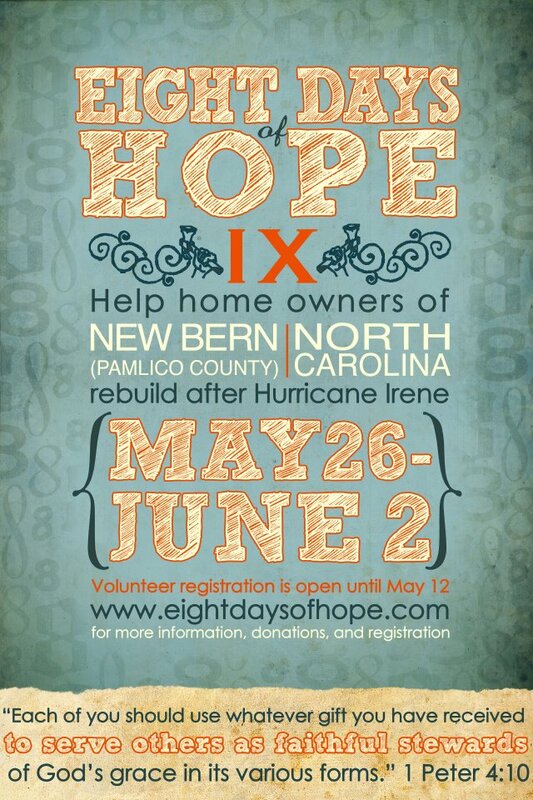 Eight Days of Hope IX comes to Pamlico County starting tomorrow for, yep, you guessed it….8 days! 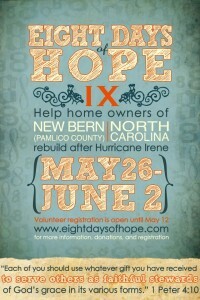 Eight Days of Hope is a volunteer organization that travels to areas effected by natural disasters. It was originally meant to be a one-time visit to the Gulf Coast with a handful of people after Hurricane Katrina but the organization has grown: 9,515 volunteers have participated in 8 relief efforts with 1,127 refurbished or rebuilt homes and $12.4 MILLION dollars of labor donated! 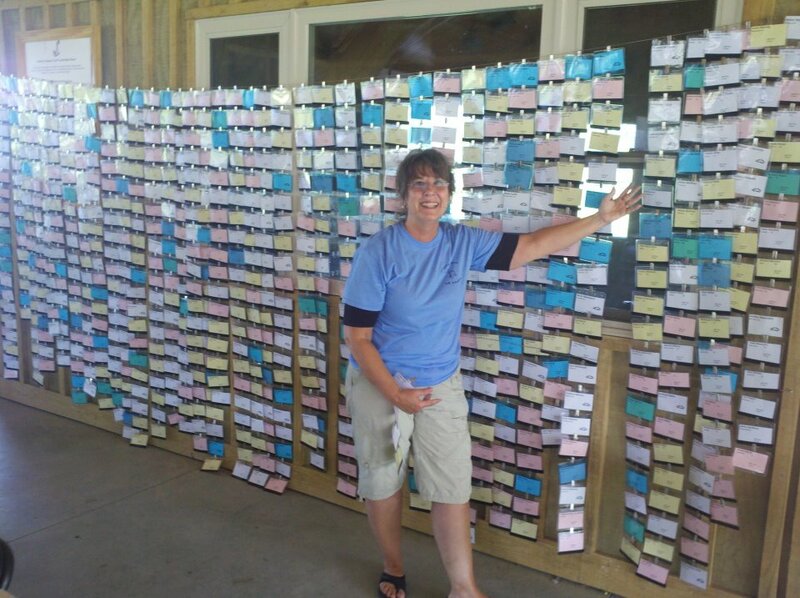 Volunteers from 43 states and multiple countries have shown up to work over 274,000 hours during these eight trips and the 9th mission kicks off tomorrow in NC! Last fall, low lying areas of Pamlico County were devastated by hurricane Irene and the next 8 days will be life changing, to say the least, for many area families. The project is headquartered at Camp Seafarer, just next door to us and preparations are in full swing. Luckily, the towns where Arlington Place and the camps are located, Arapahoe and Minnesott Beach, have average elevations around 25 feet above sea level so we had no flooding, we are very fortunate. Welcome volunteers and best wishes to everyone participating in this important mission over the next 8 days! 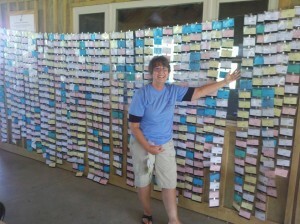 Name tags are ready at Camp Seafarer! What’s New at Arlington Place?